Updated 4:50 p.m. The National Weather Service announced a high wind warning is taking the place of the previously issued high wind watch. The warning is in effect from 8 a.m. to 9 p.m. Sunday. Sustained wind speeds of at least 40 mph or gusts of 58 mph or more can lead to property damage. Vehicles, especially high profile vehicles, can be difficult to control at times in high winds. Motorists should take extra caution, especially while crossing bridges, overpasses, and unsheltered areas. 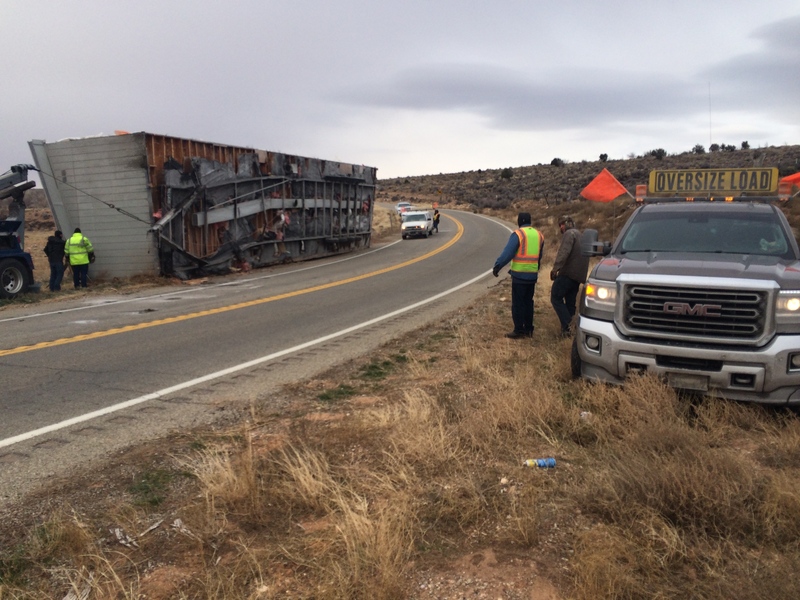 ST. GEORGE – West-central and southwest Utah can expect 30-40 mph high winds Sunday with gusts exceeding 55 mph, creating hazardous travel conditions, particularly for high-profile vehicles and those towing trailers. Unrelated closures and roadwork are ongoing giving rise to three alerts from Utah Department of Transportation. The National Weather Service’s high wind watch anticipates these winds developing Sunday morning and persisting through the evening hours in west-central and southwest Utah, including the Delta, Fillmore, Beaver, Cedar City and Milford areas. Strong crosswinds may cause hazardous travel especially for high-profile vehicles and those towing trailers. According to the service’s high wind watch, Highway 6/50 and state Routes 21 and 58 will be affected. Loose outdoor objects such as decorations and trampolines may become airborne. Take steps now to remove these potential hazards. Wind-sensitive operations will be affected.